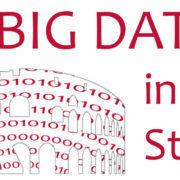 Last March the Big Data Event organised by Eurostat with the support of DevStat Servicios de Consultoría Estadística (as a leader) in consortium with ISTAT, Dialogic, Verbivis and the Fachhochschule Nordwestschweiz Hochschule took place in Rome. The Event was a complete success, during the two days of conferences we received at Quirinale Hotel more than 107 participants from 27 different countries arrived from international organisations as ECB, UNSD, UNECE, OECD, The World Bank, Berkeley University and the Universities of Pisa, Napoli, La Sapienza, Durham, London and GENES. During the Event we talked about the Scheveningen Memorandum, Impact of Big Data on official statistics, opportunities and challenges, Methodology, quality and accreditation, learning and development, strategy, programming and planning, IT and security and shifting paradigm in official statistics. Next step for Eurostat is to follow-up the implementation of the memorandum by adopting an ESS action and plan a roadmap by mid-2014. At DevStat we are now looking for a new Event to organise. DevStat has designed a survey about the administrative burden in Romanian enterprises. The survey was executed in 2 phases and was organized within the framework of an technical assistance project financed by the European Social Fund to improve the business environment. DevStat also implemented a training session to staff of the Ministries of Economy and of Employment, National Statistical Institute and other institutions. José Cervera, director of DevStat presented the project in the international conference held on 10th April. At DevStat, we value continuous education to improve our staff capabilities and skills. 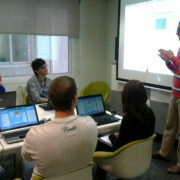 This week, our junior team followed an in-house course on advanced statistical analysis taught by Prof. Iván Arribas of University of Valencia, a former member of DevStat. We recently completed the analysis of two surveys in the Sultanate of Oman (on ICT access in households and use) and Romania (on the administrative burden for businesses). 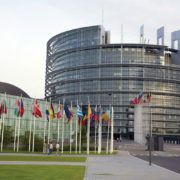 Eurostat reported in December 2013 to the European Parliament and The Council on the implementation of the Community Statistical Programme 2008-2012 referring to a report prepared by DevStat in consortium with CSIL. The evaluation of the 5-year work programme of Eurostat, which was awared to our consortium, was finalised in August 2013, after reviewing the achievements with respect to 130 objectives related to hundreds of activities implemented on the basis of annual programmes. The evaluation was done by combining desk research, in-depth interviews with EU statistics users, a sample of National Statistical Institutes and focus groups with Eurostat staff. The evaluation report has been published by Eurostat and is available here.